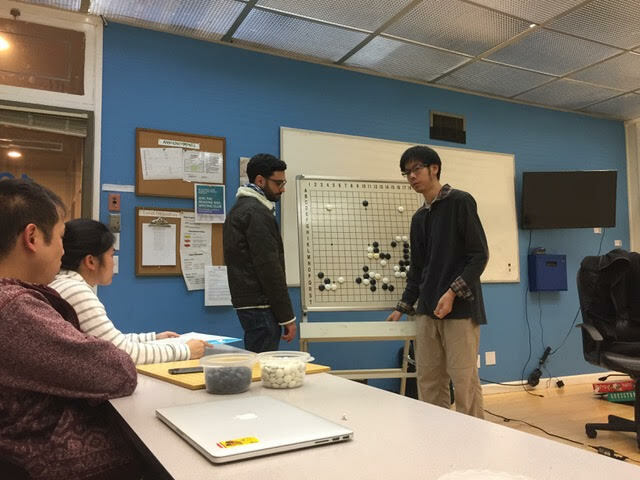 “At the Bay Area Go Players 2017 workshop in Berkeley, California Nov. 18-19, Eric Lui 1p presented a fascinating and extensive coverage of the impact of AI on current go opening theory in addition to the staples of game analysis and tsume-go drills,” reports Steve Burrall. 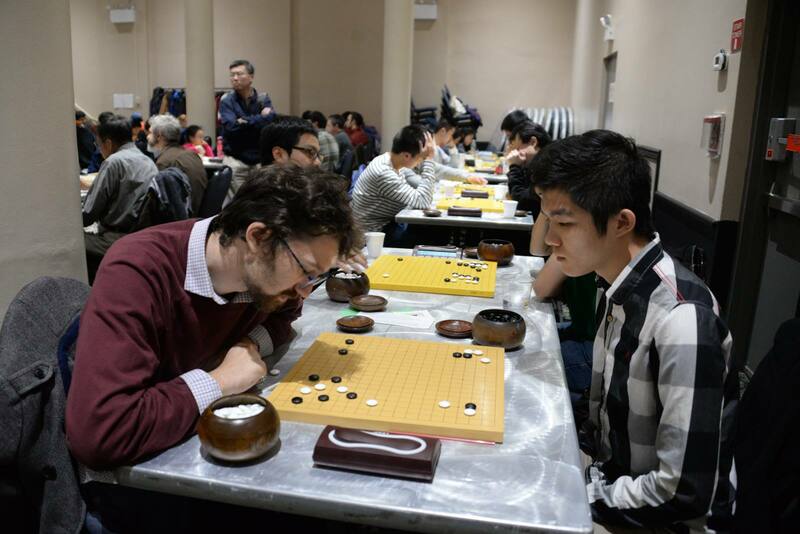 Ryan Li 1P (right) won the recent Gotham Go Tournament, held November 18 in New York City. The handmade ceramic bowls went to Tianning Dia via random draw of all first place winners. Other winners in the Open section were Michael Chen (2nd), Alan Huang (3rd) and Ben Lockhart (4th, at left). Other first-place winners were: High dan: Qingbo Zhang; 1d-2k: Tianning Dia; Single-digit kyu: Brian Ye; Double-digit kyu: Richard Chalfant. 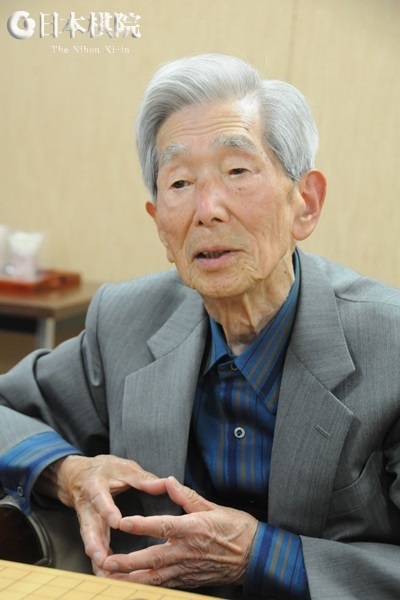 I very much regret having to report the death of Sugiuchi Masao, a player who was a part of 20th-century go history who remained active well into the 21st century, when he acquired new fans as the oldest active professional go player ever. Sugiuchi died of pneumonia at a Tokyo hospital on November 21. 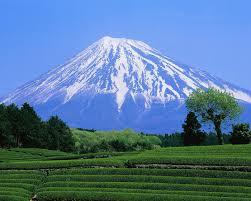 He was born in what is now Miyako-no-jo City in Miyazaki Prefecture on October 20, 1920. As a child, he showed talent at go and in 1933 came to Tokyo to become a disciple of Inoue Ichiro 5P. He became professional 1-dan in 1937, but lost about three years of his career to military service during the war. When he returned to the go world in 1946, he became one of the leaders of the younger generation, along with players like Sakata Eio and Fujisawa Hideyuki (Shuko). The peak of his career came when he challenged Takagawa Kaku (Honinbo Shukaku) for the 9th and 13th Honinbo titles in 1954 and 1958; he lost both matches 2-4. 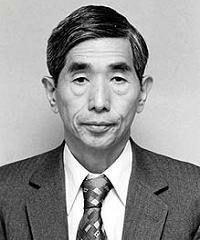 He won the Rapid Go Meijin tournament in 1959 and the 7th Igo Championship in 1963. He played in the Honinbo League seven times and in the (Yomiuri) Meijin league five times. He received a decoration from the Japanese government in 1992, and the Nihon Ki-in awarded him the Okura Prize in 2004. His lifetime record was 883 wins, 677 losses, 12 jigo, and two no result. He also served as a director of the Nihon Ki-in, including a term as the Vice Chairman of the Board of Directors. Nongshim Cup 2nd Stage dominated by China: The first round of the 19th Nongshim Spicy Noodles Cup was held in Shenyang City in China from September 19 to 22. It was dominated by Shin Minjun 6P of Korea, who won all four games. 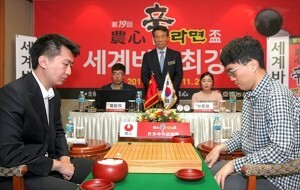 In the second round, held in Busan in Korea, he extended his winning streak to six games, but then Dang Yifei of China took over and won the remaining games in the round. Results follow. Game 5 (Nov. 24). Shin (W) beat Chen Yaoye 9P (China) by 4.5 points. Game 6 (Nov. 25). Shin (W) beat Yamashita Keigo 9P (Japan) by resig. Game 7 (Nov. 26). Dang Yifei 9D (China) (W) beat Shin by resig. Game 8 (Nov. 27). Dang (B) beat Ichiriki Ryo 7P (Japan) by resig. Game 9 (Nov. 28). Dang (B) beat Kim Myounghoon 5P (Korea) by resig. 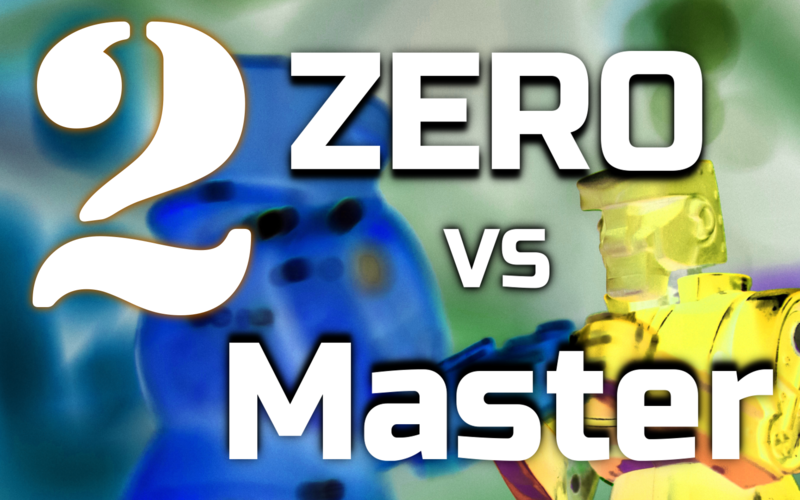 The final round will be held in Shanghai and will start on February 26. Players remaining are Iyama Yuta for Japan, who will appear in Game 10), Dang and Ke Jie for China, and Kim Jiseok, Shin Jinseo, and Park Junghwan for Korea. 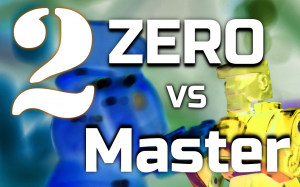 Based on players remaining, Korea has an advantage, but someone has to stop Dang. Xie regains Women’s Honinbo title: The fifth game of the 36th Women’s Honinbo title match was held in the Special Playing Room on the 7th floor of the Nihon Ki-in in Tokyo on November 29. Playing black, Xie Yimin (left) defeated the defending champion Fujisawa Rina by 8.5 titles and regained the title she lost to her last year. She was very relieved to be able to end the year on a good note. In the last year or so, Fujisawa had dominated the women’s titles, winning four to Xie’s one, but this win restored her to her familiar position of multiple title-holder (she already held the Women’s Kisei). Fujisawa is left with the Women’s Hollyhock Cup (sponsored by the Aizu Central Hospital), the Women’s Meijin, and the Senko Cup. This is the ninth time Xie has won the Women’s Honinbo. She and Kusunoki Mitsuko are the only players who have made two comebacks. This is Xie’s 27th title.